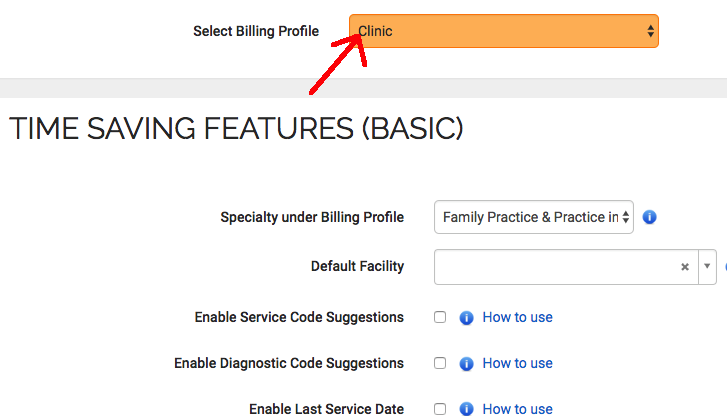 For Billing Agents with numerous physicians, the Billing Profile feature allows for different settings to co-exist within your MDBilling.ca account. This is useful when you bill for multiple groups of physicians with different practices. You must use a unique name when creating a new Billing Profile. Once the profile is created, you can assign multiple physicians to your current session. When you first login, you will also experience a new column when selecting a physician, allowing you to know which Billing Profile is currently assigned.